It’s not hard to find pizza in Paris as like most major cities the French capital is swamped with choice. Good pizza isn’t served on a busy tourist street with a side of fries, though. It needs more heart, more class, more of that authentic Italian touch. Tucked away in the garment district of the city is a joint dubbed the ‘best pizza in Paris’ and we wanted a slice of that action. 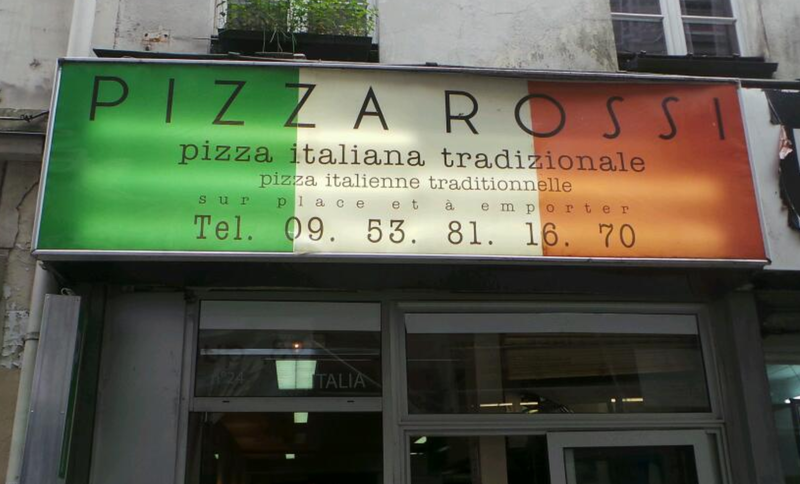 The Joint: Pizza Rossi, Rue Blondel, 75002, Paris, France. Unfortunately this joint doesn’t have a website. 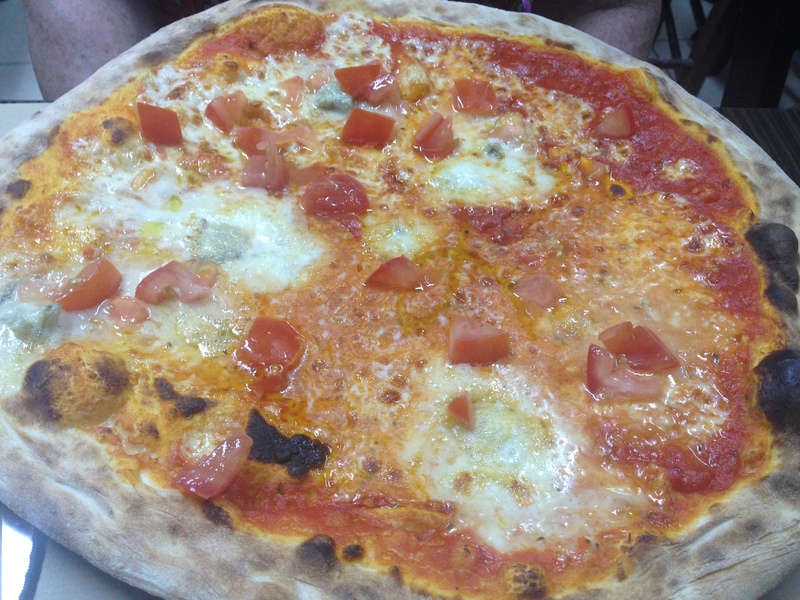 The Vibe: Pizza Rossi has been serving traditional Italian pizzas to Parisians for some time. It’s dated exterior, quite close to the local ‘adult entertainment’ hang outs, is matched by equally understated interiors. It’s a small, hot, joint with room for 15 people at most. Dotted around the walls are photos of faded movie stars and Italian icons, half of which aren’t recognisable by today’s audiences. It’s quaint and full of character though and a perfect place for an hours respite. We’re hungry so we grab a Pizza Portoghese and a Pizza Denna Nolla. They’re with us shortly after and they’re absolutely huge – hanging over the edges of our sizable plates. 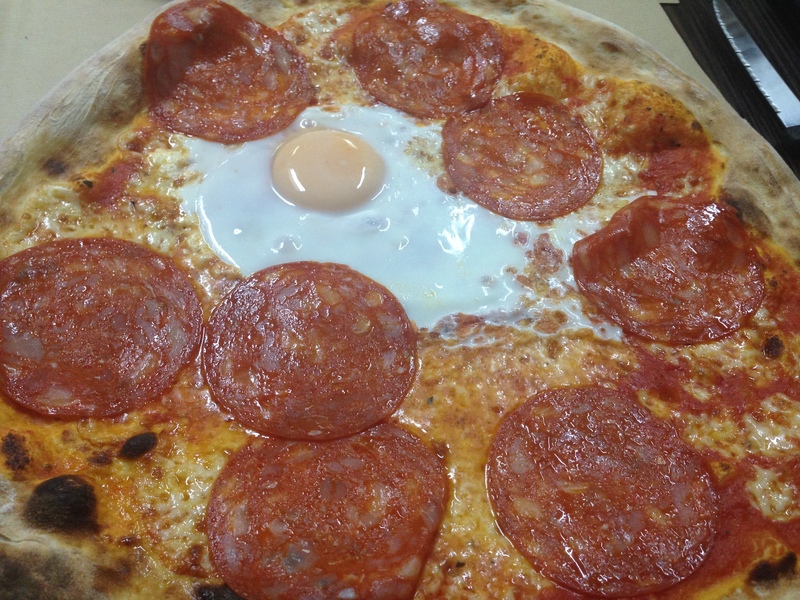 The Portoghese combines thinly sliced chorizo sausage with a cracked egg cooked to our liking. It’s light, full of flavour, and the escaping egg yolk adds great moisture. The chorizo is soft and has just enough kick without needing an accompanying glass of water. There are a few burnt bubbles of dough but we don’t mind those, especially when you’ve seen them pulled from the stone oven by the counter. The Denna Nolla is equally as impressive – this vegetarian pizza mixes chunks of tomato with a scattering of ‘blue cheese’. It’s creamy and fresh and washed down nicely with a glass of local white wine. The dough itself springs back into place after every bite too, and just as nice to snack on the thin crusts once you’ve tackled the centre. We leave Pizza Rossi with full stomachs, smiles on our faces, and a little sweat trickling down our backs. This is true Italian pizza and it’s well worth stepping through the back streets of Paris to eat it. Pizza Rossi was visited by Tom in July 2014. Posted in ParisTagged best pizza in paris, blue cheese, cheese, chorizo, denna nolla, dough, egg, italian, paris, Parisians, pizza, portoghese, yolkBookmark the permalink.